eCommerce consists of the buying and selling of products or services on the web or internet in a safe and secure manner. That means that you would make sales purely by making your products available & easy to find on the web! E-Commerce web sites are the most cost effective way to start a new business in this day & age. 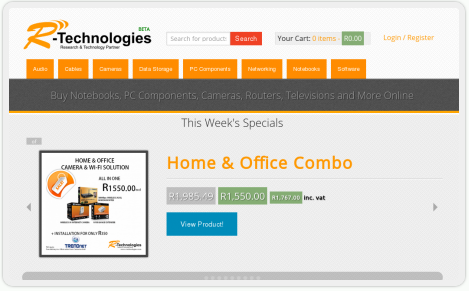 You will need no rental but your shopfront would be on any desk,tablet and mobile device at a click of a button. Isp warehouse as a company excels in the building and marketing of E-commerce sites.